The main opera production for the season is the world premiere of The Monkiest King, a new CCOC commission by award-winning composer Alice Ping Yee Ho and librettist Marjorie Chan. The duo won the 2013 Dora Award for Outstanding New Opera for their Toronto Masque Theatre commission of The Lessons of Da Ji. 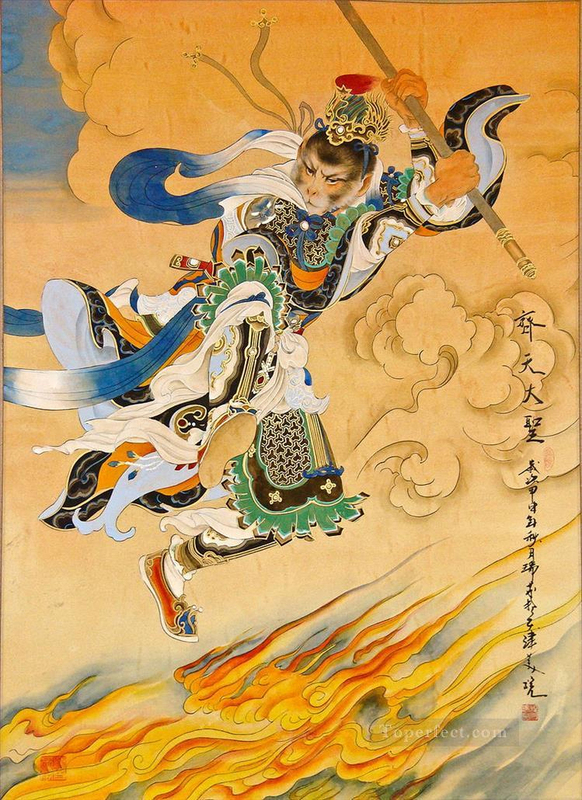 The story is adapted from the Song Dynasty mythological figure of Sun Wukong – the Monkey King. The character, which grew to include Taoist, Buddhist and Hindu influences, spread outside of China throughout East and Southeast Asia. He has appeared in many forms and adaptations, prominently including the Classic 16th-century novel Journey to the West by Wu Cheng’en, and remains prevalent in the modern day with appearances in Hong Kong action movies and video games. A proud trickster character reminiscent of Raven or Loki, Sun Wukong rebels against heaven, but ultimately learns humility. While we in Canada are most familiar with the European tradition of opera, storytelling through the combination of art forms transcends cultural boundaries. The CCOC, with this commission, has proclaimed their dedication to exploring the cultural diversity of Toronto and Canada while celebrating the stories of our whole community. The premiere production will feature a number of Chinese-Canadian artists in addition to the composer and librettist, including orchestral musicians and choreographer Emily Cheung, Artistic Director of the Little Pear Garden Dance Company. I am absolutely thrilled to write a new opera “The Monkiest King” for the incredible Canadian Children’s Opera Company. This is also my second collaboration with award-winning librettist Marjorie Chan in our exploration of new story from an old Chinese tale. The legendary Chinese character “The Monkey King” is probably the most famous modern day Chinese “Marvel” hero – it is a dream project for me to bring this mischievous good-natured character to life in a contemporary children’s opera setting. The “Monkiest King” will certainly inspire and educate children performers the magic of music/drama in a different cultural premise, the production is a promise of both fun and challenges to all! Featuring members of the CCOC. With a mixed chamber orchestra of Chinese and Western instruments. In late November, the CCOC presents its annual winter choral concert, presenting all six divisions of the company performing operatic and choral music. In the spring, The Junior Divisions (children aged 3-10) will be presenting Myths and Monsters, a collection of music and theatre examining the fantastic and frightening in the world of myth and legend. This will include a production of Dean Burry’s opera for young performers, Theseus and the Minotaur. Currently in its 49th season, the CCOC consists of six choruses for ages 3 to 19 and is the only permanent children’s opera company in Canada. Led by Artistic Director Dean Burry, Managing Director Ken Hall, and Music Director Teri Dunn, the company engages young people in the vibrant world of opera by offering intensive musical and dramatic training and numerous professional performing experiences. In addition to their own concerts and opera productions, members regularly perform with the Canadian Opera Company and other major professional organizations, record, and tour nationally and internationally.